Incoming Albion College president Mauri Ditzler is looking to engage directly with students, staff and faculty in his upcoming term, and plans to do so by living among them on campus. Ditzler lives on campus at Monmouth College, of which he currently serves as president, and he says living on-campus provides opportunities to be involved with campus life in ways living off-campus does not. 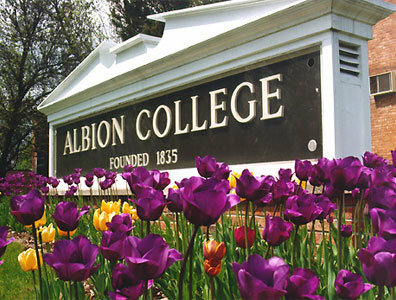 Ditzler added that living on campus is not only a personal preference, but also his way to become part of the Albion community, something he believes will serve him well professionally. The proximity of on-campus life will also serve to promote relations between the college and the community, according to Ditzler. Ditzler assumes his post on July 1, 2014. Spencer White is a senior from Commerce, Michigan. He's dedicated to squeezing every last bit of journalism he can out of Albion College.